*this is quote from Trinity on her third book. 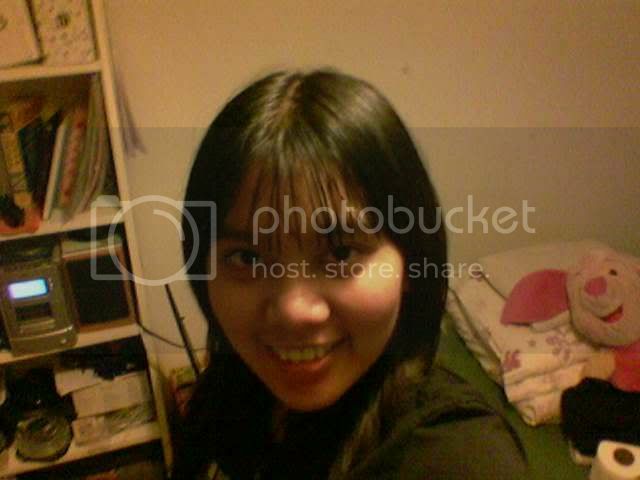 Yesterday, i was reading my 2002-2003 archives, my first years on blogging, when i was on 2nd & 3rd year of high school. My high school stories, and my memories keeps coming back. During almost 7 years, there are lot things being going through on me. I always on something, my mother's sick, my ababil love stories, my hard time on college in NL,my wedding preparation. I always on something that I always begging on God to keep me sane during the process. To keep assiting me during the process. However, looking back all my situations, I get an conclusion : I always able to going through all my situations. I always receive it well. Not a happy ending, but the situations never get any worse. Looking back to my 7 years ago, I have (maybe) a better and much spirit to break all the things back then, I have lot guts to get what I want, and maybe worry less than today. Of course, there are lot of improvement as well. I have more empathy today, not that ignorant. I am more worry, because i know my responsibily and aware with the consuquences. I am more calm when i got something that disturbs me, not like before. Today, i have layers of worries. Worry of this, worry of that. Thinking this and thinking that. Sometimes i just want to mute my brain in order to keep my brains stops thinking my problem for a while. Stop worrying about future and start live my life. Ups and dows are coming together, make my brain can't stop working. And i was just start thinking, is that become grown-up become this difficult, i feel like i want to crawl & crying on the blanket waiting for my mom coming and kiss my forehead. What a childiss thought, i said. I am worrying i can't handle the situations, but sometimes maybe what i can do is just wait and see, and doing anything that has already become my responsibilities and my area. The thought, owh she can do that, why i can do that as well, also kills me. Baby, you cant always see neighbour's grass is grenner than you are. Dont you feel tired, baby? But i always, keeping this to myself. Bulan, when your mother passed away and you were on NL, eventhough it was hard, you can take it well. When your mother's sick and you have to face Final Exam, you can take it well too. When your Dad planning to continue his life to the next stage and you got lot of situations going that may lead you to missjudgement, you can take it good. I remember, it was 7 months of worrying and lot of crying, but you can take it well. This post is to remind me, you've been proof, Bulan. You always can get through for all your situations. So for now, i believe that you can take it good as well. You have all the spirits, you should worry less. You have to try, and i understands, same old same old, you better fails because you tries than fails because you never tries. I know, you can do it. You always can do it. Thus, chin up and smile up. The problems may not fade away instantly, but there is no reason to give up easily. Give up is so not you. Thank you my blog, thank you to reminds me to myself back then. My old-me . this is my self-motivation post.